Happy Friday friends! After seeing fellow bloggers (Marion, Chloe, Blair, and Lilly) wearing fabulous maxi skirts, I've been wanting my own! However, I haven't gotten around to purchasing a one skirt yet. Since I've seen a few other bloggers turn their maxi dresses into skirts by adding a top (Alison and Sam), I decided to try that out! 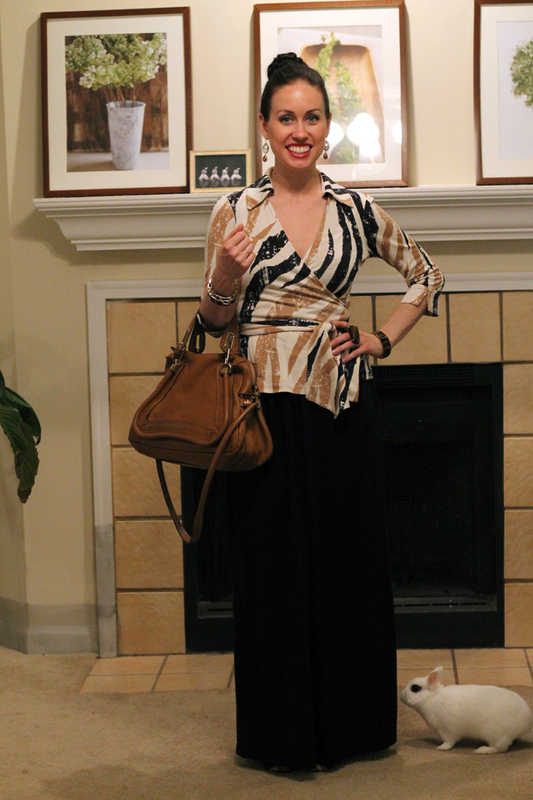 Enter this wonderful DVF silk jersey wrap top I thrifted for about $35ish last year in addition to my old maxi dress and here we go - my maxi skirt test without having to purchase one (yet). Gorgeous maxi top with exquisite matching ear rings and accessories. The maxi "skirt" looks great on you, Mary Ann! I've been thinking about trying out the trend too but I'm not positive how great it will look on my petite self. Have a great weekend! hey, you! i'm a huge maxi girl. i love your bun, too. i usually have my hair in a bun all the time. love your chloe bag. :) you look amazing. have a great wknd! Lovely dress <3 You look great mary!!! Love this look on you! So polished and classy! That top is fabulous, and I love how versatile the dress is! I actually just got a maxi skirt from Old Navy and I've been stuck as to how to wear it, so thank you for the great ideas! Lovely maxi skirt! you rabbit is sooooo cute! i'm following you now, mind following back? this is such a great look. I love putting tops over my maxi dress and turning them in to skirts. 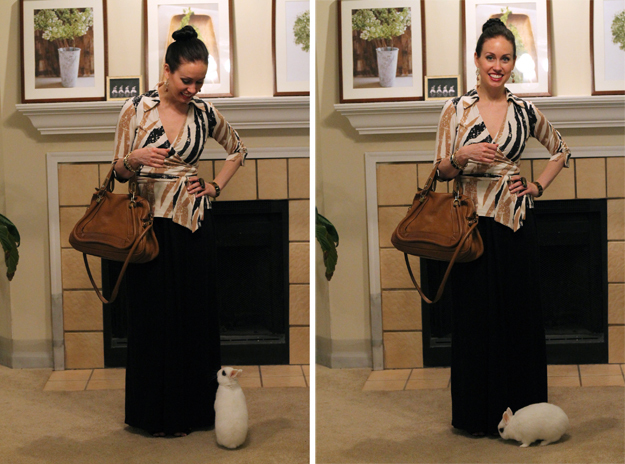 I can't figure out what I adore more - that Chloe bag or your cute bunny! Great way to add more wear/use value to your clothing items! Love it! Cute, and look st the bunny posing. 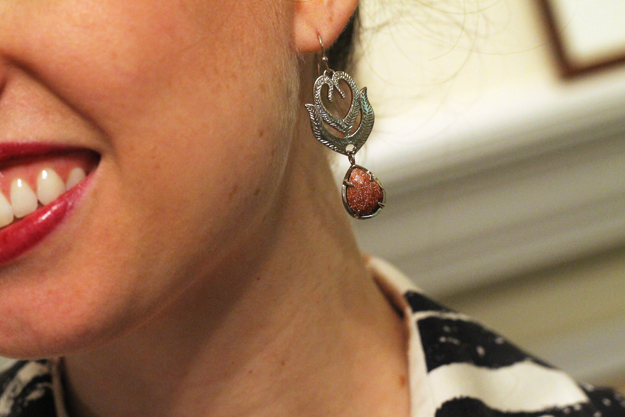 I love how you've put every piece carefully together to a very smooth outfit! looks great! and the bunny is so adorable! I am totally in love with your bag!! Soooo chic! hahaha! that bunny! so cute! such a simple and genius idea! and it looks wonderful on you! i love the wrap top! I love this outfit! Very fancy!